peterman1975-losangelesboy: Myolie Wu looking for love? Myolie Wu looking for love? According to Hong Kong media reports, Myolie Wu has been single since she broke up with fellow colleague, actor Bosco Wong, during July last year. The pair dated for eight years before the split. Hong Kong media had also earlier reported that the 33-year-old actress has been burying herself in tons of work following the breakup with Bosco. Her workload in just a year so far was reported to include three TVB dramas, two China dramas and many other endorsement jobs. 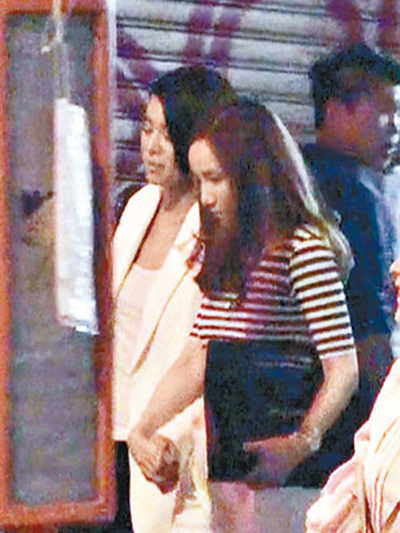 Just recently back in Hong Kong for promotions of her latest drama Triumph in the Skies 2, good friends actress Nancy Wu, singer Paisley Wu and Elaine Yiu were seen on a night out with reality dating show host Queenie Chan the day before. 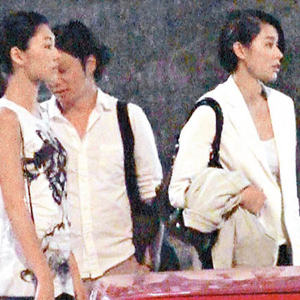 Reportedly worried about her best friend’s love life, actress Nancy Wu was said to be actively introducing guys to Myolie, and the meeting with Queenie was said to be an opportunity for her to learn about ways to “get a guy”. The latter had in her show, won the heart of Cyrus, a man ten years her junior. Dressed in a low-cut shirt and white jacket, Myolie appeared to have dressed up for the meeting, and even wore a pair of three-inch high-heels. 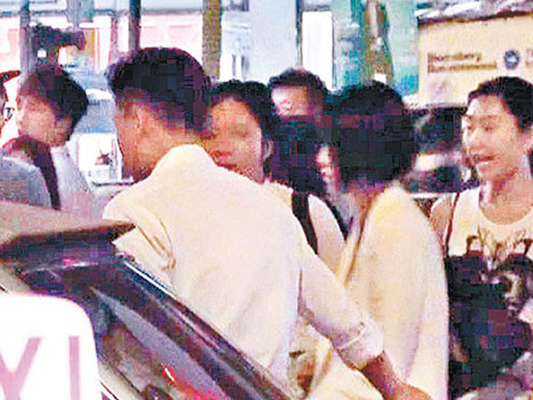 The actress and her group of friends stayed out until a 1am before hoping on a taxi for home.